Burkina Faso President Kaboré on 6 January 2016 named an economist as his prime minister. 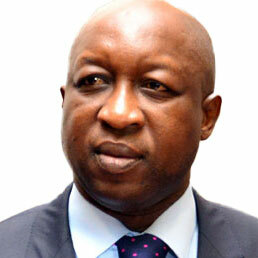 Paul Kaba Thiéba is said to have relatively little political experience; he has never worked within his own country and has dedicated his entire career to the banking sector. His professional career started in the late 1980s in the banking sector of France where he managed portfolios and dealt with designing funds at the Groupe Caisse des Dépôts et Consignations of Paris. In 1993 he joined the team of the Central Bank of West African States (BCEAO), based in Dakar, where he progressively climbed the career ladder, from head of foreign exchange services to director of financial operations. He then occupied several senior advisor positions, counselling the director of the Department of General Affairs as well as the director-general of operations. Since February 2014 and until his nomination as prime minister, he worked as deputy administrator of the UMOA Financial Stability Fund. Paul Kaba Thiéba holds a degree in enterprise management from the University of Ouagadougou, and master degrees in finance and banking from the Universities of Grenoble and Paris. Born in Bobo Dioulasso, he is a native of Kouy, near Tougan in the north-west of the country.